Teaching Language in Context takes the purposes for which language is used in different content areas as the starting point for teaching literacy. It recognises that students understandings are constructed in language and that each area of the curriculum uses language in a different way. Success in each subject requires students to acquire the specialised language of the curriculum area; that is, the genres and language features through which the content is expressed. In order to successfully develop students language for curriculum success, teachers must identify the language demands of the different curriculum areas. 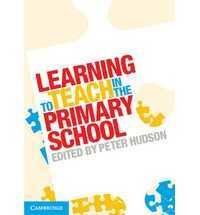 This textbook supports pre-service teachers to do this while familiarising them with the different curriculum areas. Key features: Approaches language learning across the KLAs, and is consistent with Australian Curriculum plans for language and literacy Covers early childhood; primary and some middle years Have a Go Activities that allow students to become familiar with the language feature in question Think about It Activities that invite students to reflect on what they are learning In the Classroom Classroom-based, practical examples Text boxes Examples of teacher usage of texts.